Weight loss supplements in various forms, are to burn fat, to control appetite and sugar craving plus provide stress relief to sustain long term weight loss results. These supplements need to categorised into these categories to ensure the right approach as shown by research. There are a variety of weight loss supplements and some people call them food supplements and diet pills. Here you will be able to know more about the acai berry, hoodia, herbals and shakes plus the fat burning pills and other pill supplements. Acai Berry is primarily an antioxidant, and lacks scientific proof for its claimed weight loss effects. Hoodia is an appetite suppresant, whereas CLA, guarana and caffiene are fat burners. Chitosan has been found to have some effect in preventing fat absorption. There are several weight loss supplements that incorporate the above materials in products being sold by various companies for weight loss. Generally, these would be meant to increase the body’s base metabolic rate (BMR) to burn fat, control stress, appetite and sugar cravings. In some instances, weight loss supplements are created to reduce or block the body’s absorption of food ingested, such as carbohydrate blockers, or fat trappers. Most of these supplements are taken in isolation due to cost reasons. People take them without consideration of the right diet and exercise. Most of these supplement suppliers do advice consumers to follow a nutritionally correct diet and be physically active to ensure a sustainable weight loss can be achieved. We need to be careful when selecting a weight loss supplement. 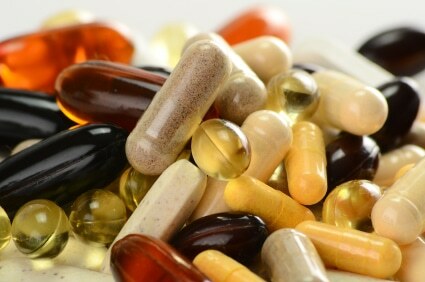 Some of these supplements can have side effects if manufactured wrongly. The composition, consistency and efficacy of action of these supplements need to be understood. Ephedra for example, has been banned by the USFDA as it suspected to be linked to several cases of stroke, heart attacks and death. So we need to check out the reliability of these supplements. Is there validated research to back the claims of these weight loss supplements suppliers on the efficacy of their products?